This evening I decided to try my hand at a form of divination using a pendulum. 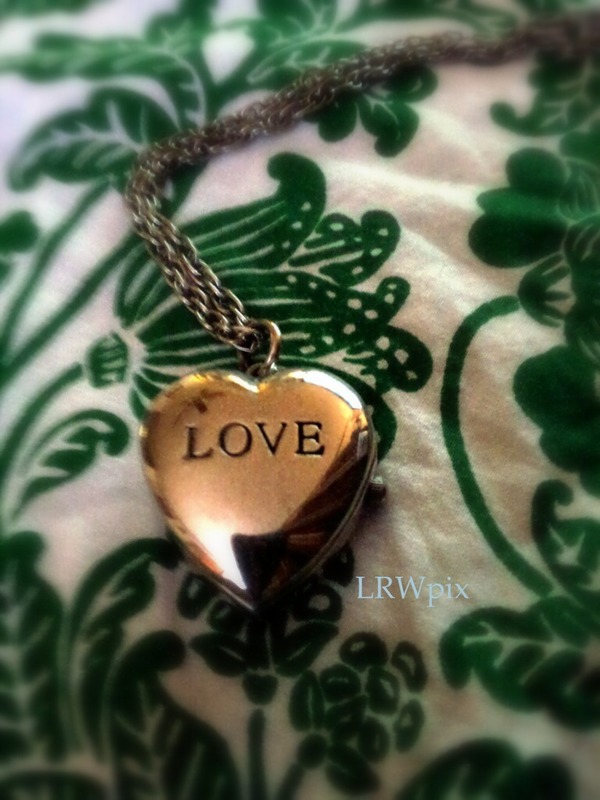 I used my heart locket which has a nice weight and long chain. In fact, it was a little too long so I shortened it. I am a shaky person so I steadied my arm by placing my elbow on the table, it took a few minutes to completely still the necklace. Once it was perfectly still, I asked it to show me “yes.” The locket moved in a circular motion to the right, quite strongly. I stopped it and then asked it to show me “no.” No was a counter clock wise motion to the left, also moving strongly. I thanked it and cleared my mind. Next, I asked the pendulum a yes or no question about something very important to me regarding tomorrow. It answered yes! I will act in faith that is right, being in frequency with the actions and energies I am sending out into my world. **Update** August 15, 2014 – My question to the pendulum was if I would get a job with a certain company. The pendulum stated “yes.” I was offered a job with the company however, not the job that was my first choice. It was still correct, I am undecided if I will accept. I had recently came across a blog post regarding the subject matter of “Limpia.” (source) My feeling is that Limpia is not only a divination tool but also a cleansing ritual. It involves the use of an egg that is rubbed along the entire body, including the bottom of the feet. 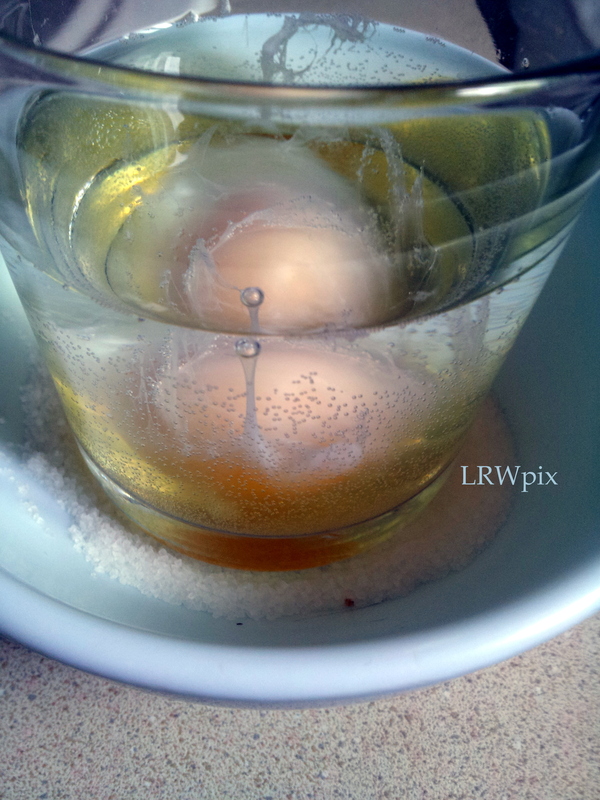 The egg is then cracked to reveal the troubles/problems/outcome. Tonight, I decided to perform this ritual. 1. I cleansed the area and myself before performing the rite, using smoke from an incense stick relevant to the ritual. 2. I laid a white paper towel on which I placed a small white bowl. Any white plate/bowl etc can be used. I made the personal choice to pour sea salt in the bottom of the bowl and added two bay leaves for purity and protection. 3. I placed a glass inside the bowl on top of the salt. I poured water which I blessed inside the glass. Water is holy and blessed on its own. I gave thanks to my easy access to clean running water and the life it provides. I also took a sip and drank it in, grateful. 4. When I cupped the egg in my hands I awoke it to its duties at hand. I immediately ran the egg all over my body, starting with my third eye. 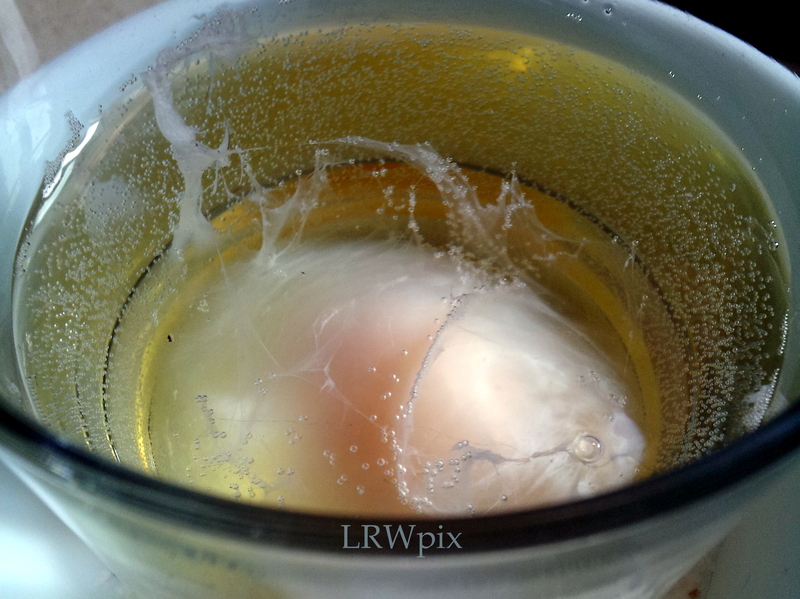 I rubbed the egg along my skin until I felt light and almost tingly. This in itself without the divination had a desirable positive result. I felt lighter. 5. 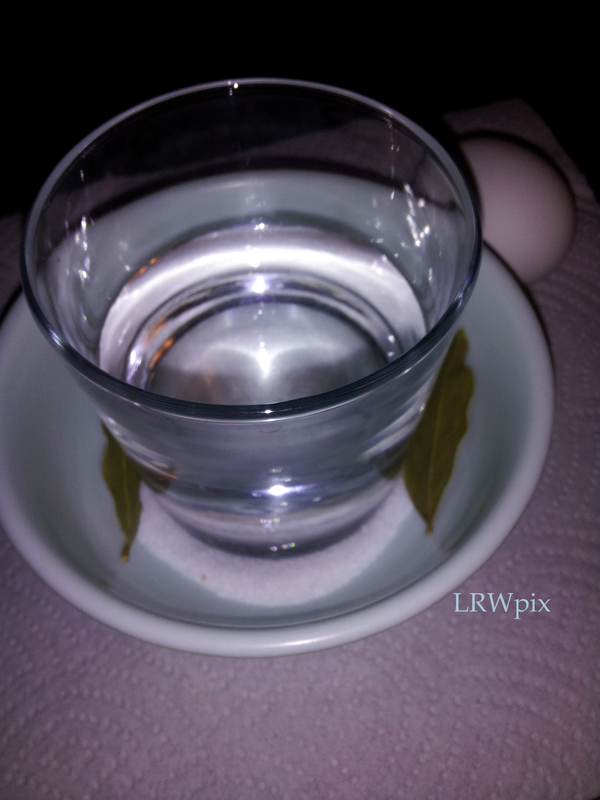 I cracked the egg into the water. I took photos before placing on the floor. It is currently near my feet, when I go to sleep it will be under my bed to finish absorbing any negative energies. Getting ready to perform the limpia ritual. 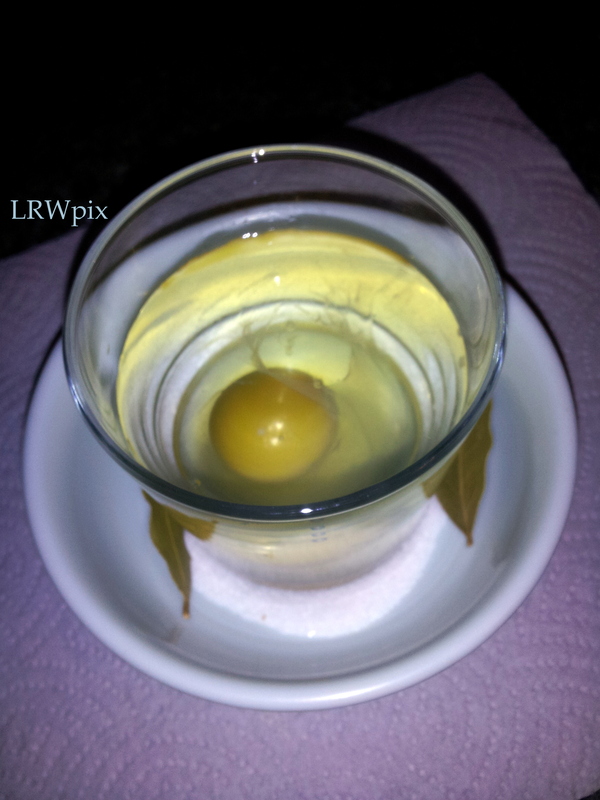 The top view of the egg after the limpia ritual was performed. 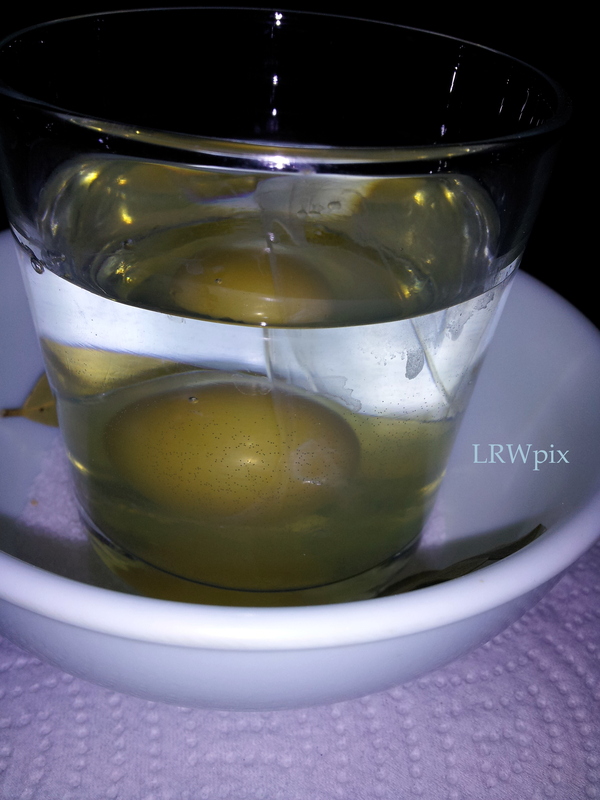 The side view of the egg after the limpia ritual was performed. 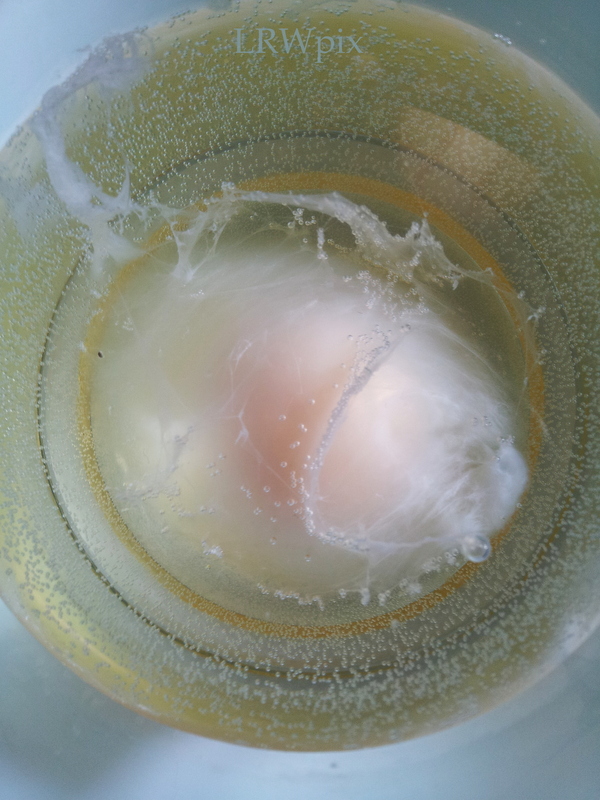 See the large bubble connected to the yolk area – indicates a spirit or entity attached to the person. It could be either positive or negative. I found a large black speck on the left side in this picture very close to the yolk – indicates an enemy. There were so many small bubbles and a milkiness in the glass this morning. The small bubbles indicate physical attacks, the more bubbles the more attacks. The milkiness indicate that magick was used against the person. It surrounds the yolk. I can’t decide it it’s actually negative. It seems somewhat protective but I could be confused. I also see birds which would show the act of being spied on. My second thought is if it’s possible for the egg to absorb negativity/energies/forces at work from another person sharing the same bed. I am going to perform this ritual again on myself and my spouse.